The scene at the stadium in Bulgaria where South Wales faced Istanbul. 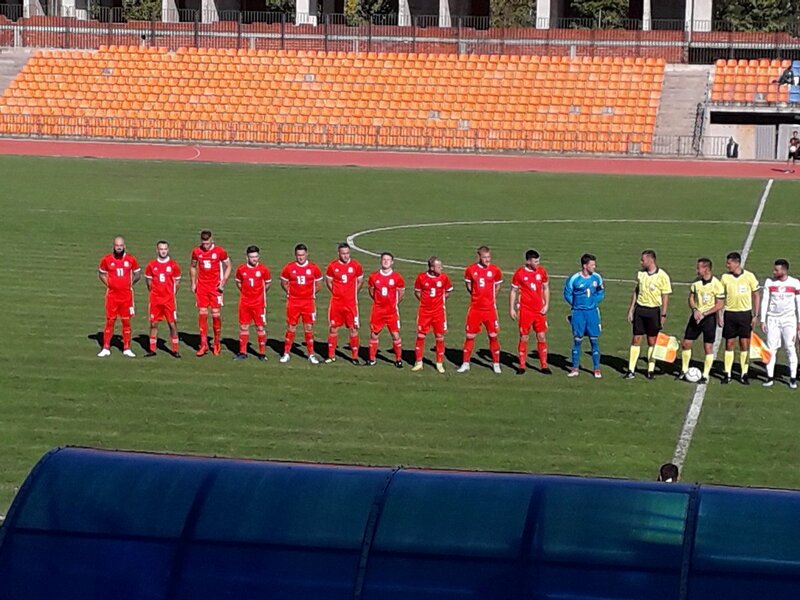 South Wales slipped to defeat in their Uefa Regions Cup group match against Istanbul in Bulgaria. Chris Quick led the South Wales fightback, scoring twice during the second half. Chris Colvin-Owen could have netted from a penalty during the first 45 minutes after Jordan Evans and was fouled, but the spot-kick rebounded off a post. Topal (20, 36 and 90+3), Güner (4 and 33 mins) plus Yiten completed the Istanbul scoring and led 5-0 with 43 minutes gone. Josh Brogden went close from a free-kick after nine minutes and an Evans’ effort clipped a post, but South Wales took time to settle down. They sent on Joey Morelli, Ryan Morgan and Andre Phillips and finished in style with those two goals scored by Quick (74 and 78 mins). Phillips had an assist on both Quick goals. Istanbul had the final word, though, with South Wales pressing hard. Topal was on target to score a sixth for the winners and complete his hat-trick three minutes into injury time. South Wales FA: Stephen Price, Gavin Morris, Richard Noyes, Alex Lloyd, Philip Quick, Travis Monks, Josh Brogden (Joey Morelli 55), Asa Lloyd, Jordan Evans (Andre Phillips 68), Chris Quick, Chris Colvin (Ryan Morgan 55). Subs: Arron Fettah, Nathan Gulley, Conner Keating. Istanbul: Pekgöz, Yilmaz, Zincir, Uyar (capt), Çiçek (Can 71), Bağimsiz, Gönen, Yiten (Saltik 63), Topal, Aydin, Güner (Akkelle 73). South Wales squad: Steve Price (Penydarren BC), Ryan Morgan (Port Talbot Town), Richard Noyes (Bridgend Street), Alex Lloyd (Penydarren BGC), Phil Quick (Canton Liberals), Asa Lloyd (Penydarren BGC), Travis Monk (Trefelin BGC), Gavin Morris (AFC Porth), Chris Quick (Canton Liberals), Alex Long (Penydarren BGC), Chris Owens (Penydarren BGC), Aaron Fettah (Canton Liberals), Joshua Brogden (Penydarren BGC), Andre Phillips (Canton Liberals), Nathan Gully (Bridgend Street), Jordan Evans (Baglan Dragons), Joseph Morelli (Cardiff Draconians), Connor Keating (Penydarren BGC). Only the group winners will qualify for the final round which will be played next summer.